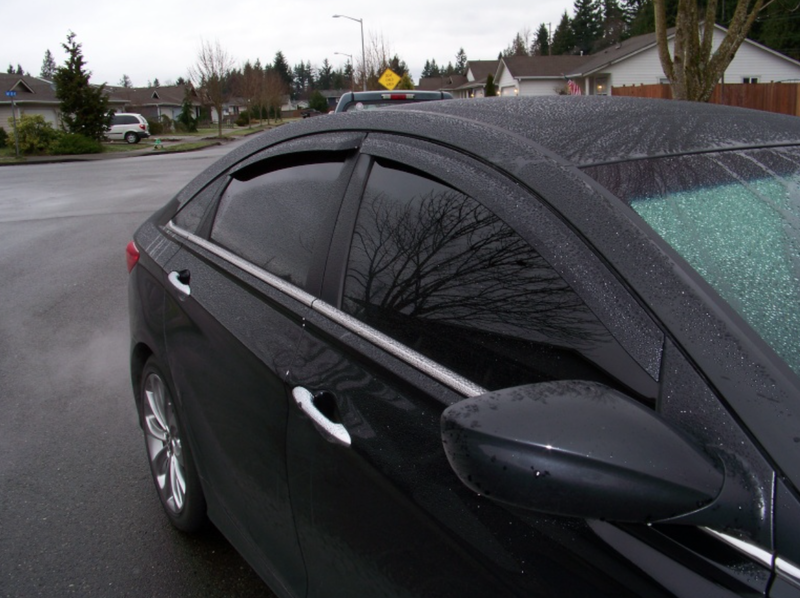 Why is dark window tinting on cars illegal? Do you ever stop and think to yourself Wise things are the way they are in history. Was there some event that caused the tinting of windows to be illegal. Or was it just some random law that was passed for no apparent reason. According to a Hamilton tinting service that I have used in the past, the history of tints being too dark has A fairly straightforward explanation. And it’s something that you might not expect. Have you ever had your windows tinted and actually watch the process that happens when they apply the tent? For some reason I thought before that they were maybe applying some sort of coating but rather they are actually peeling and sticking on A window film. Now you would think that the reason a tent is a legal is because police need to be able to see a driver. This isn’t necessarily the case according to some Alberta officials. The film applied to the windshield of a car can prevent it from shattering properly. This is a safety precaution that is put into action to make sure that the glass shatters in a way that prevents large pieces from penetrating into the driver or passenger’s riding in the vehicle. So if you have a tent that is not legal it might not just be related to the darkness of the tent but could also be related to the thickness causing the glass on your automobile to not shatter properly similarly to how the front of your vehicle will crush in a specific way minimizing the impact to the passengers inside of the vehicle. a mor ein detail description can be found here on the Globe and Mail automotive section. Not every providence and state is the same however. Some places have more crime and they’re more concerned about people concealing their identity well they’re driving around so it’s important to know just how dark of a tint you can possibly get. Most people will not truly try to get the darkest possible but you might be putting your self in danger of getting a large fine. Imagine just driving down the street one day, Getting pulled over, and needing to pay over $500 as well as having your tint removed from your vehicle and reapplied in a lighter shade. Obviously something that you don’t want to do. The actual rules surrounding how dark your tint can be our is unclear as the drivers hiding behind limo tinted vehicle windshields. There is literally articles where people have asked to see you specifically what the police consider illegal. It may come as a surprise to you that you’re we are windshield can be completely blacked out. Although this may be obvious to some especially those who have driven in the trucking industry where you can never see out of your back window anyways. When learning how to drive you are taught to use your mirrors on the left and right side rather than turning around and looking through your back windshield. So the justification must be that having the back windshield tinted or blacked out is not really an issue because all drivers should be trained to prevent this being a driving hazard. ← Will Self-Driving Cars Take Off?